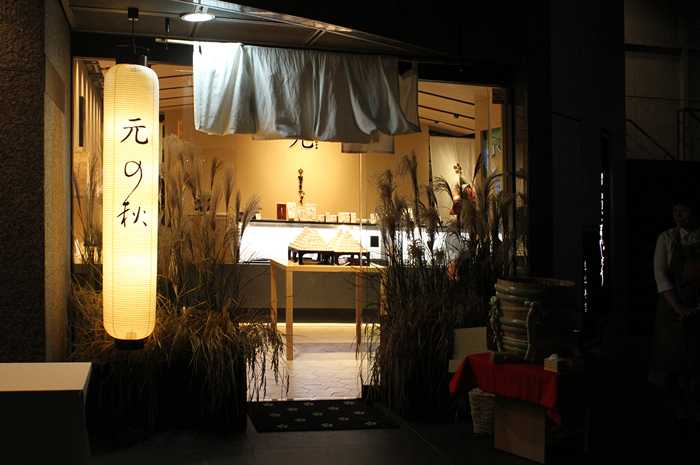 Yamadaya Manjyu is a shop specializing in delicate Japanese sweets. For 150 years since its Foundation in 1867, the shop’s secrets have endured as a tradition handed down from father to son, through historical and cultural changes. 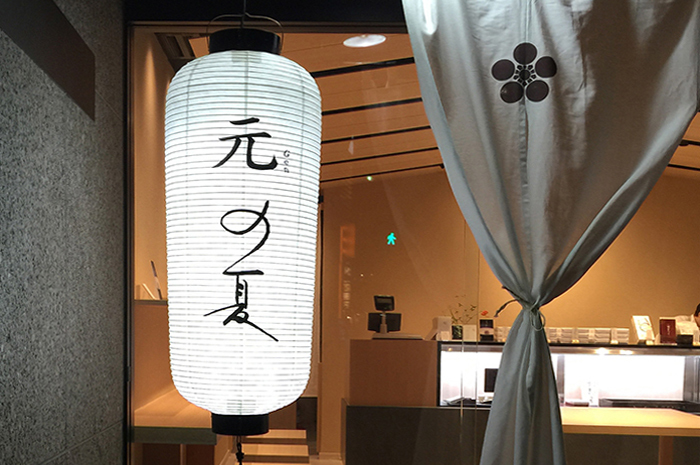 This series of lanterns, which serve as signage for the new over-the-counter location in Tokyo Ebisu, commemorate the mysterious delicacy of these famed treasures. Noriko’s work interprets the unique qualities of this singular treat, the manjyu, seeking a parallel manifestation of their enigmatic presence in the medium of calligraphy. Four lanterns—one for spring, summer, fall, and winter—express the way in which the same specialty can create different experiences in changing seasons, just as the same character can take on new meanings based on the changing contexts in which its presence endures, and its meaning is interpreted afresh.